At each new encounter with a patient, medical students are challenged to engage in inquiry-based learning, at least implicitly. 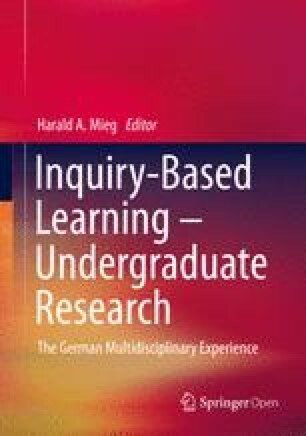 Currently, great efforts are being made to explicitly integrate inquiry-based learning and research into the curricula in the study of medicine. As such, however, special basic conditions apply to the medical studies. Fischer, M. R./Fabry, G. (2014). Thinking and acting scientifically: Indispensable basis of medical education. GMS Zeitschrift für medizinische Ausbildung, 31(2), Doc24. doi: https://doi.org/10.3205/zma000916.